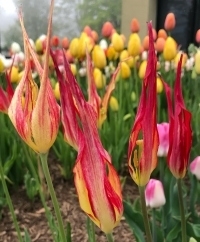 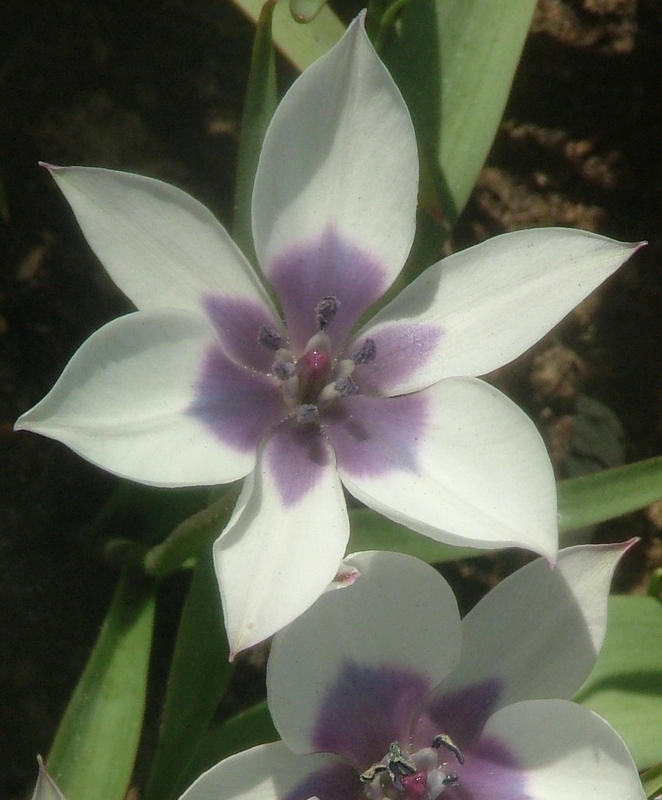 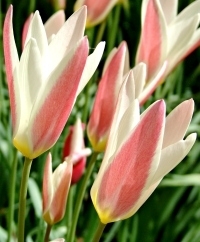 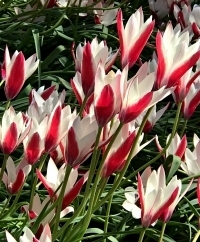 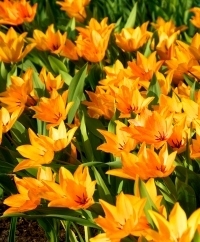 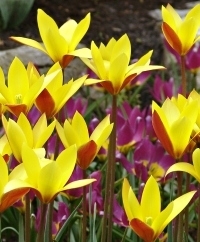 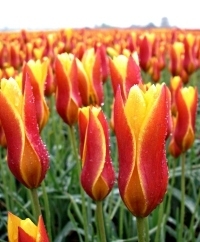 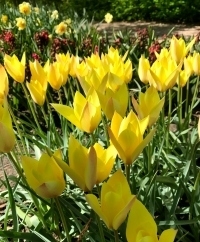 Originally from the Mediterranean, Asia Minor and the Caucasus, Species Tulips offer unusual flowers in varying heights and dazzling colors. 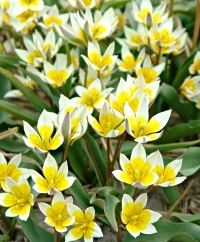 Known to perennialize better than most tulips, they are wonderful for rock gardens, sweet clusters and naturalized drifts. 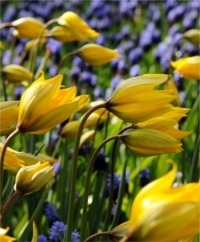 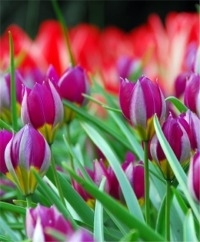 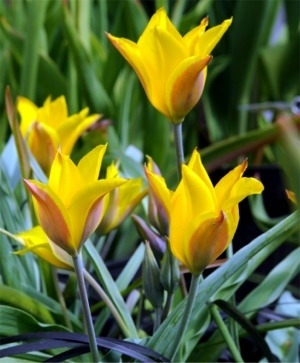 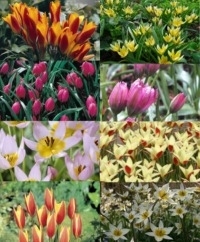 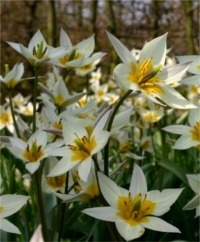 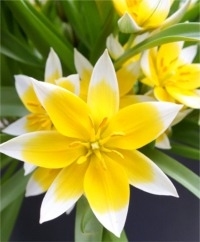 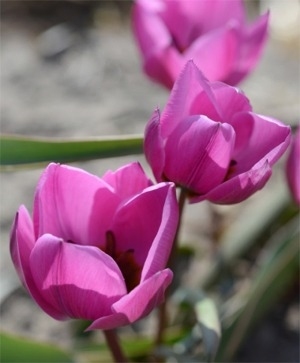 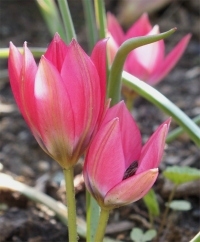 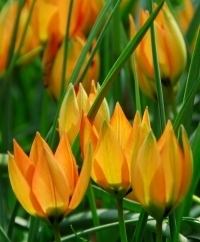 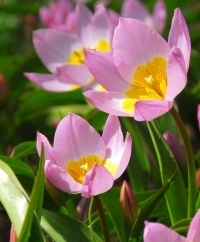 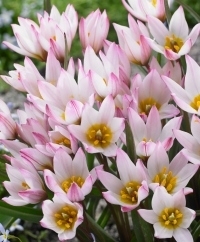 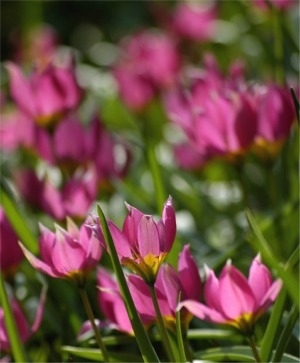 Top size bulbs: 5 to 6 cm (unless otherwise noted). 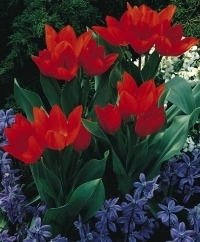 Plant 4" to 5" deep and 6" apart. 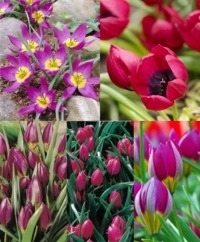 Horticultural hardiness and bloom times are dependent on the variety. 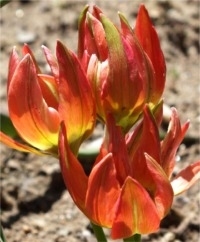 Height: 3" to 16" depending on the variety. 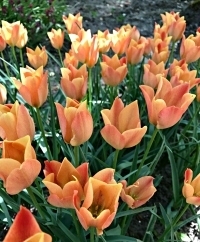 Tulips are The Art & Soul of spring.